Intel has announced a pre-integrated, pre-validated embedded virtualisation solution for the industrial market at this year's Embedded World conference in Nuremberg. Intel Industrial Solutions System Consolidation Series is designed to let customers merge and manage multiple discrete systems on a single machine, providing faster delivery of new products and reduced costs. The solution provides customers with a hardware and software bundle, which includes an embedded computer with an Intel Core i7 processor and pre-integrated virtualisation software. The software includes Wind River Hypervisor, which is pre-configured to support three partitions running two instances of Wind River VxWorks and one instance of Wind River Linux 5.0. The former is for real-time applications, while the latter is designed for non-real-time programmes. "More and more, the industrial sector is looking to technology for innovative ways to become even more efficient and competitive," said Jim Robinson, GM of Segments and Broad Market Division of the Internet of Things Solutions Group at Intel. "By bringing together what have typically been multiple subsystems within industrial equipment into a single computing platform, Intel's application-ready platform makes it easier and more affordable for OEMs, machine builders and system integrators to deliver consolidated, virtualized systems." 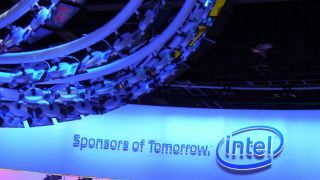 Intel also plans to offer the virtualisation software in a package with McAfee Embedded Control later this year. The Industrial Solutions System Consolidation Series launches in the second quarter. A development kit will retail for $3,858 (£2,320, AU$4,320), while a production kit will sell for $2,998 (£1,800, AU$3,355). Both will include one year of support and maintenance. Is virtualisation an IT infrastructure for dinosaurs?